For first-class facilities, a convenient location on Interstate 40, and a clean and safe community to enjoy away from the field, Conway, Arkansas is the perfect location for your organization's event. 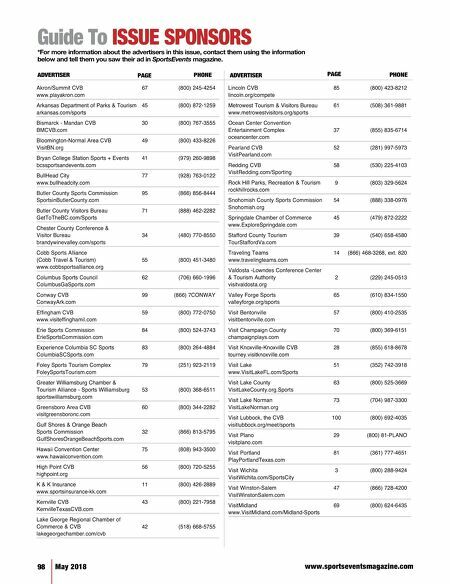 Conway regularly hosts large state-wide and regional youth baseball, volleyball, basketball and soccer tournaments, as well as, numerous cheer, dance and gymnastics events. 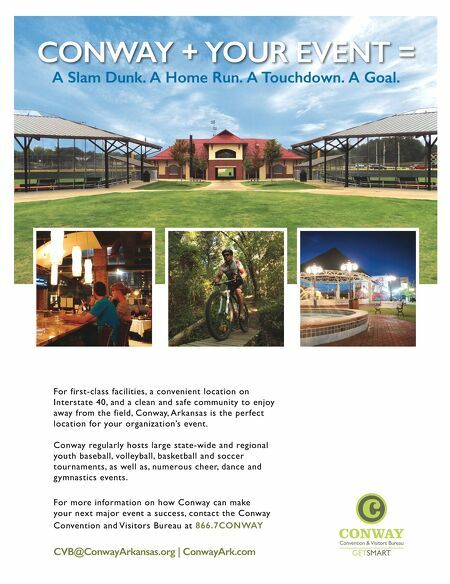 For more information on how Conway can make your next major event a success, contact the Conway Convention and Visitors Bureau at 866.7CONWAY CVB@ConwayArkansas.org | ConwayArk.com CONWAY + YOUR EVENT = A Slam Dunk. A Home Run. A Touchdown. A Goal.